A dental infection needs to be treated right away. 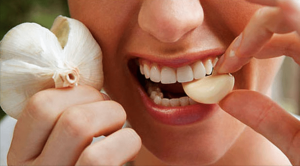 However, if you need immediate relief from the discomfort, then garlic and tooth infection go together better than you probably think. While it is no substitute for seeing your dentist in Jenkintown, it can help until you can schedule a dental visit. You can get a lot of relief from just a clove of garlic. This is a fairly straightforward remedy. Simply place the clove on the affected tooth. Gently crush the clove so that the juices inside can flow around the tooth. Afterward, throw out the clove, and rinse with lukewarm water. Do this twice a day to eliminate discomfort. This might sound a tad gross, but it is actually quite beneficial. Crush about five cloves of garlic and add the juice to a cup of warm water. Stir the concoction, and sip a little bit at a time. Swish it around your mouth, and spit it out. You can do this a few times a day although you should be mindful that it will probably make your breathe smell a little. The best medication for you will ultimately depend on what caused the abscess to form in the first place. Additionally, if you are prescribed antibiotics, make sure you take them for the prescribed length of time without stopping short. 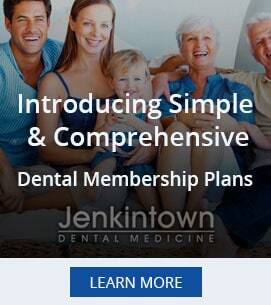 You should be scheduling appointments with your dentist in Jenkintown at least twice a year to identify any issues before they get out of hand.